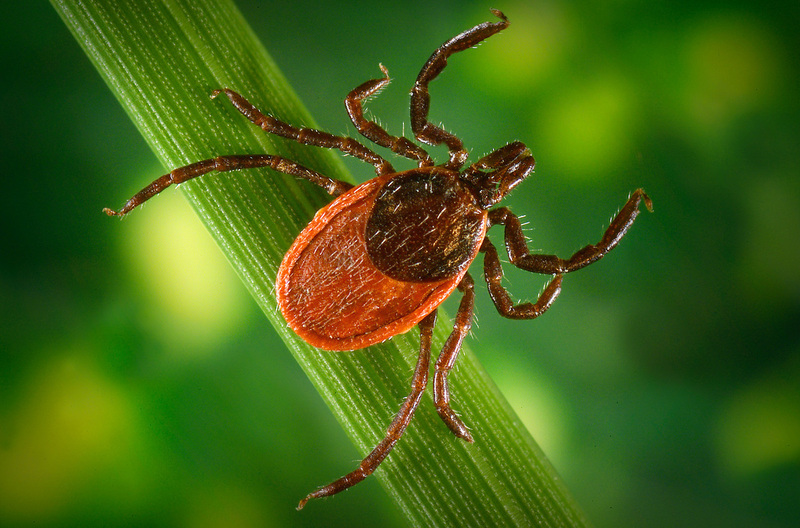 Study: Prolonged Antibiotic Treatment Gave No Relief For Lasting Lyme Symptoms : Shots - Health News A clinical trial found that three months of antibiotic treatment wasn't effective in relieving persistent Lyme disease symptoms. It's the latest study to suggest the approach is ineffective. 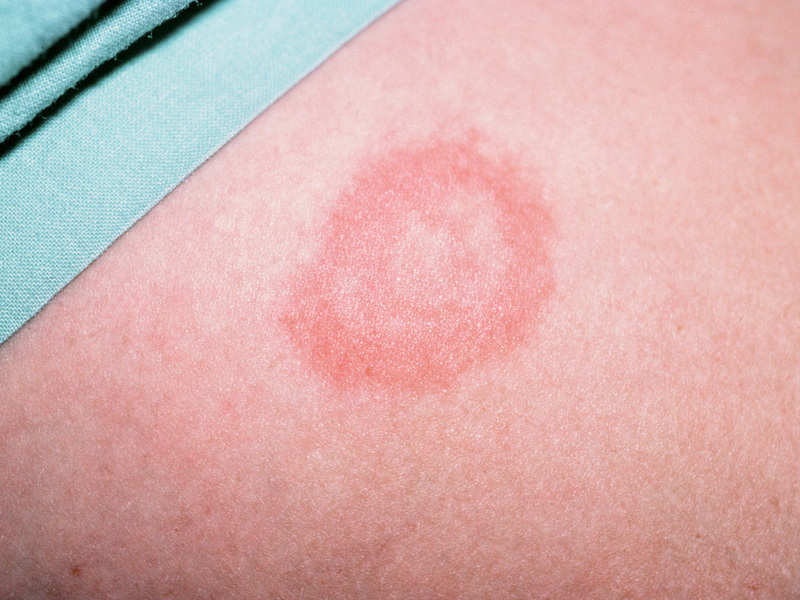 A bite from a blacklegged tick can transmit Borrelia burgdorferi bacteria, which cause Lyme disease. For some people with Lyme disease, the illness seems to take a lasting toll. Years after a standard two-week course of antibiotics against Borrellia burgdorferi or closely related organisms that cause the disease, these patients remain exhausted and foggy-headed. They suffer from chronic aches and pains and poor sleep. In the last decade and a half, medical societies and some patient groups have fought over how to treat these people and also over the reasons why they don't get better. Some doctors and guidelines recommend long-term antibiotic treatment for these Lyme disease patients. The National Institutes of Health and the Infectious Disease Society of America maintain, however, that prolonged antibiotics use doesn't help, and advise doctors to limit antibiotics to the initial course. Results from a clinical trial published Wednesday in the New England Journal of Medicine support the recommendation against long-term antibiotic treatment. Researchers in the Netherlands randomly assigned 281 people with persistent symptoms who had been diagnosed with Lyme disease to three groups. First, though, all the people were treated with antibiotics for two weeks. Then, a third got a placebo, a third got one kind of antibiotic and the remaining third got different antibiotics for a period of three months. At the end of the trial, no group of patients did better than the other. "They were not helped by prolonged antibiotic treatment," says Dr. Bart-Jan Kullberg, a senior author on the study and an infectious disease researcher at Radboud University in the Netherlands. The study already has detractors. "You do a lousy study that's designed to fail, and you get a failed study. And that's basically what this is," says Dr. Raphael Stricker, a board member of the International Lyme and Associated Diseases Society , or ILADS, which advocates for the long-term use of antibiotics therapy. There have been four other clinical trials, funded by the NIH, that have come to the same conclusion as Kullberg's study and none suggested long-term antibiotics helped. But Stricker says the studies didn't test enough people, use a sufficiently aggressive antibiotic regimen or continue therapy long enough to eradicate persistent, hidden Borrellia infections. Those arguments don't wash with Dr. Paul Auwaerter, an infectious disease specialist at the Johns Hopkins University School of Medicine. Even if there is a persistent infection, Auwaerter says, "It doesn't look like the extra antibiotics help them improve any faster." Instead, Auwaerter says the needless use of the drugs raises the risk of developing antibiotic resistance in bacteria and other infections in individual patients. "There's a growing interest to reserve [antibiotics] for times they truly have documented benefit rather than conjecture." Auwaerter says Kullberg's study is well done, and its critics are ignoring scientific evidence. "The notion that the infection is difficult to eradicate with antibiotic therapy is not well supported by scientific evidence," he says. In a 2011 editorial in The Lancet Infectious Diseases, Auwaerter and coauthors criticized organizations including ILADS of creating "a parallel universe of pseudoscientific practitioners, research, publications and meetings." A characteristic bull's-eye rash indicating Lyme disease. There are theories about why some Lyme patients struggle long after they've been treated that don't involve an obstinate colony of Borrellia bacteria. "There's no simple answer," Kullberg says. "It could be residual damage due to the infection. It could be an ongoing immunological response. There are a large number of hypotheses for why patients have persistent severe symptoms." Basically, he says, doctors don't know why these patients are still sick. Stricker argues that that mainstream professional societies are ignoring these patients' needs. "They're horribly sick," he says. "They need decent treatment. Unfortunately, this study is going to be misinterpreted to say there is no treatment for these patients." But Auwaeter says the reason why these patients are still sick is complicated, and treatment shouldn't involve antibiotics for months or years. "It's unnerving to both physicians and patients because nobody likes having something that we don't understand." He says the message that patients just need more antibiotics is appealing, but that it represents a false hope.